The South Korean government will make a decision in November on whether it will allow initial coin offerings (ICOs) again in the country, a top-level official has said. Hong Nam-ki, head of the office for government policy coordination, told lawmakers during the National Assembly’s annual audit on government actions that regulators in the country have been reviewing the topic in recent months, as CoinDesk Korea reported on Thursday. Hong added that the Financial Services Commission (FSC), South Korea’s markets watchdog, has been conducting surveys on ICOs since September. “We are going to form the position of the government in November based on the results of the investigation at the end of October,” he went on to say. Hong was responding to the question on ICO permission raised by Jeon Haecheol, a lawmaker from the ruling Democratic Party, who voiced support for lifting the current ICO ban. 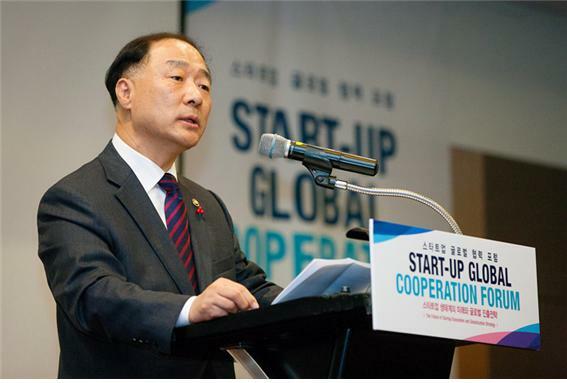 That said, Choi Jong-gu, chairman of the FSC, voiced his concern again in a meeting today against the idea of allowing ICOs, according to a news report from Yonhap. “Many people say ICOs should be allowed, but … uncertainty remains, and the damage is too serious and obvious,” he was quoted as saying. In September 2017, the FSC notably issued a ban on domestic ICOs, following a similar move made by regulators in China. However, Hong said some crypto projects continued selling tokens to domestic residents by registering their businesses overseas. In May, lawmakers from the National Assembly, the country’s legislative arm, pushed for the removal of the ICO ban. And last month, CoinDesk reported the FSC was investigating token sales projects with a questionnaire seeking information on extensive project details as part of its effort to review the ICO ban case. Elsewhere in Hong’s remarks, he reiterated the government’s commitment to supporting blockchain development with a government budget of 34 billion won ($30 million) in the coming years.